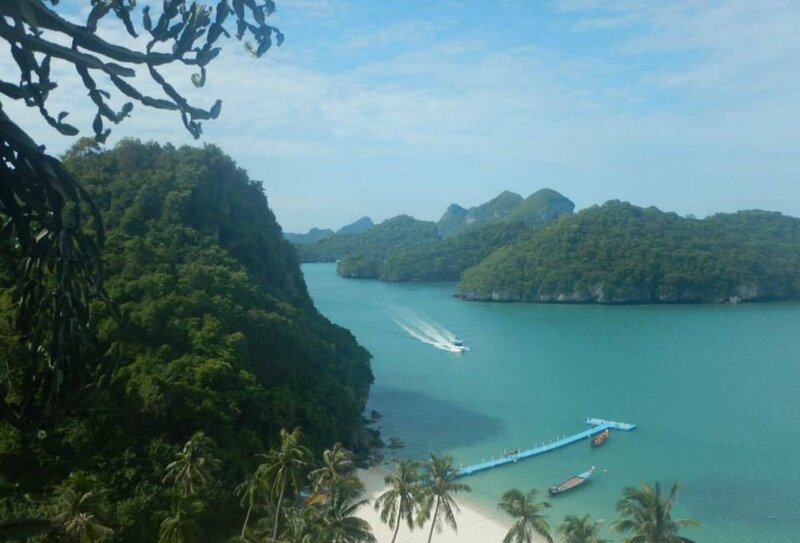 Explore two incredible Asian countries in one brilliant trip to Thailand and Bali! 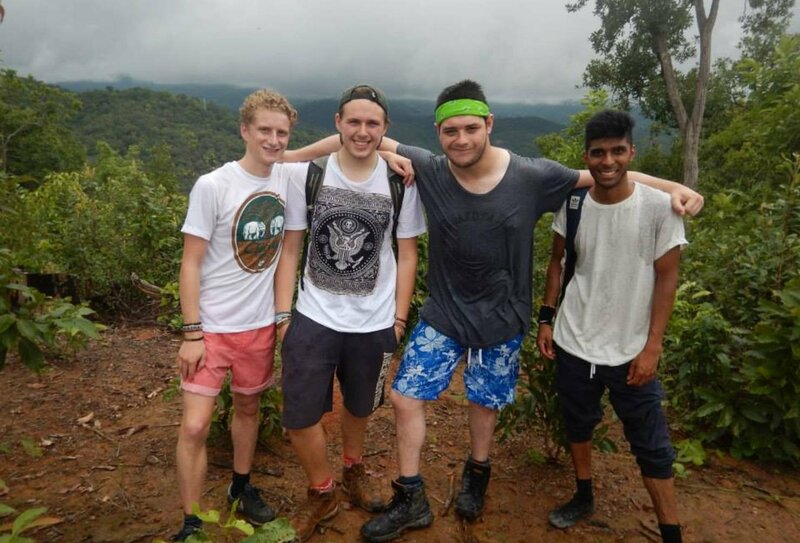 Enjoy our awesome 25 day Thai Adventure: Visit Bangkok and Chiang Mai, go hill trekking, have an elephant experience, relax on Koh Samui & Koh Tao and party on Koh Phangan. Hop across to beautiful Bali for 12 days of fun and relaxation: See Kuta, visit ancient temples, laze on stunning beaches, learn to surf, go snorkelling, swim in waterfalls, feed wild monkeys, relax on tropical islands, see dolphins and turtles and party on the beach in this slice of paradise. Don’t miss this extraordinary Asian combo tour in Thailand and Bali! Please note: This trip can be done the other way round if you wish: Bali first and Thailand afterwards. 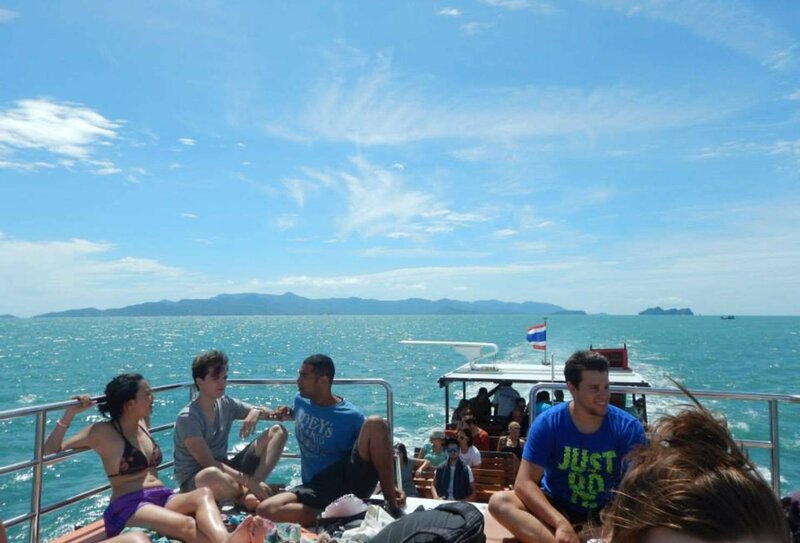 Visit the idyllic Thai Islands: Chill out on Koh Samui, relax or scuba dive on Koh Tao and party on Koh Phangan! Spend two days on Bali’s idyllic Gili Islands and then head to Ubud for a visit to Monkey Forest, a sunrise Volcano trek and a traditional Balinese massage to end your Asian adventures! Farewell dinner and Beach Party! Discover two amazing Asian countries in one top tour on this Thailand & Bali adventure: Kick off with a 29 day adventure in Thailand and follow that with an unforgettable 12 days in beautiful Bali. Day 1: Begin in the buzz of Bangkok. Fly into Bangkok where you’ll be met at the airport by one of our trip guides and transferred to your city accommodation. 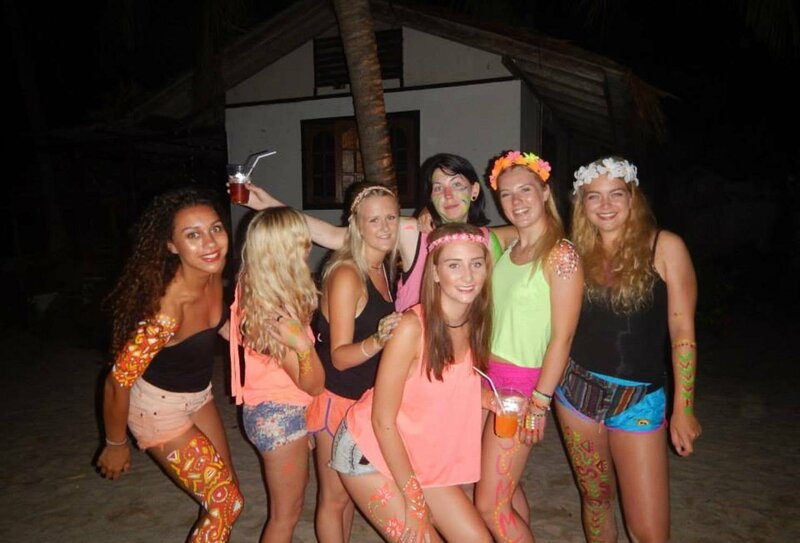 Meet your fellow travellers and enjoy your first night in Thailand! Day 2: Bangkok Guided Tour. Explore some incredible must-see sights on a Bangkok tour, starting with a long-tailed boat ride. After temple visits to Wat Po, Wat Arun and the stunning Grand Palace, round off the day with a night out partying on the legendary Khao San Road. Please note: Entrance fees to the Grand Palace and the surrounding temples are not included in the trip price so you should budget around £10-15 today for these visits. Day 3: Explore Bangkok. See the streets of Bangkok up close on a group bicycle tour. Tonight, head out for another crack at Bangkok’s legendary backpacker nightlife! Please note: Nights out on this trip are organized by our trip guides but drinks and entrance fees are at your own cost. Day 4: Chill and Transfer. Spend the day relaxing and exploring Bangkok at your own pace. Tonight, take an overnight bus or train to Chiang Mai. Day 5: Chiang Mai and Cookery Class. Arrive early in Chiang Mai and spend the day relaxing or exploring. Learn to cook delicious Thai dishes during an included cookery class and enjoy a guided tour of the city and the vibrant night market. Day 6 & 7: Meet the Elephants. 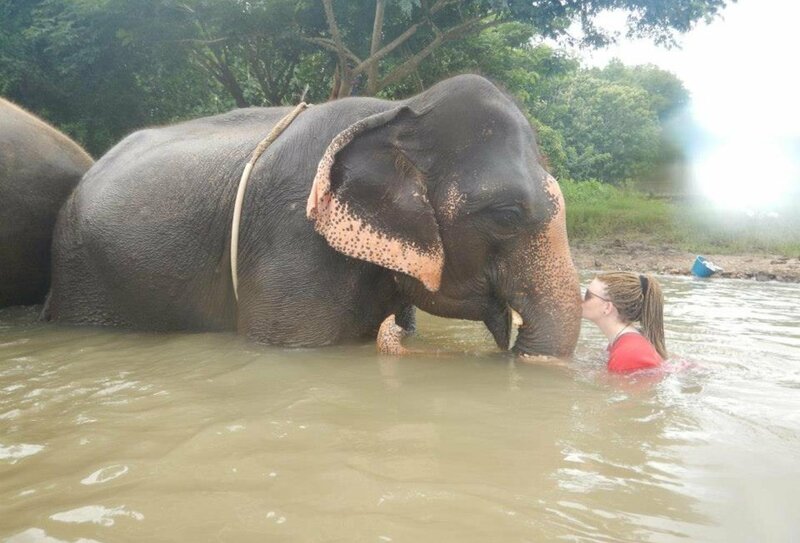 Journey into the beautiful Thai countryside and spend 2 days at an incredible elephant home. Help feed the elephants and bathe them in a nearby stream. Then spend the night sleeping in traditional huts next to the herd! Day 8 & 9: Hill Trek. Venture into the foothills of northern Thailand for two days of wild adventure trekking in spectacular scenery – a must do experience! Enjoy a bamboo rafting adventure on day 9 (weather dependent) and then head back to Chiang Mai. Please note: Your luggage will be looked after for you during the trek, so you only need to carry a small daypack. Day 10: Chiang Mai to Krabi. Fly down to the coastal paradise of Krabi. Day 11: Railay Beach Day. Enjoy a full day of sunbathing and swimming on Railay Beach, a stunning paradise of white sands and crystal clear waters. Day 12: Transfer to Phi Phi. 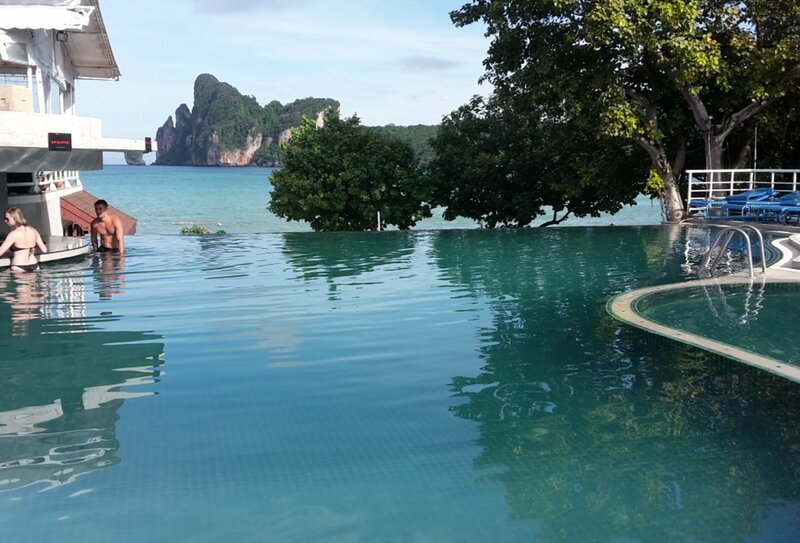 Head across to dreamy Koh Phi Phi and prepare for three days of bliss in this perfect paradise. Day 13: Viewpoint Visit. After a relaxing morning, enjoy a group trek to a stunning viewpoint that offers incredible views across the island. Day 14: Island Boat Trip. Embark on a blissful boat trip that ticks off the most beautiful parts of the island. 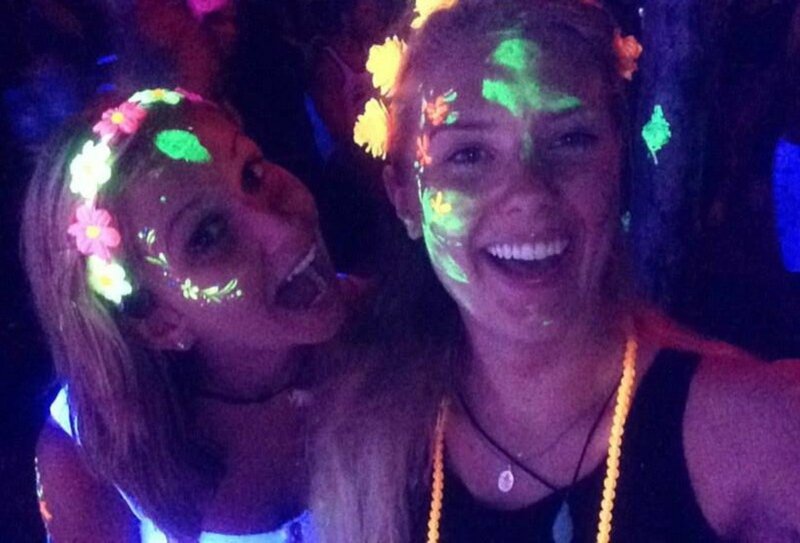 Tonight, hit up Phi Phi’s fantastic nightlife. Day 15: Transfer to Koh Samui. 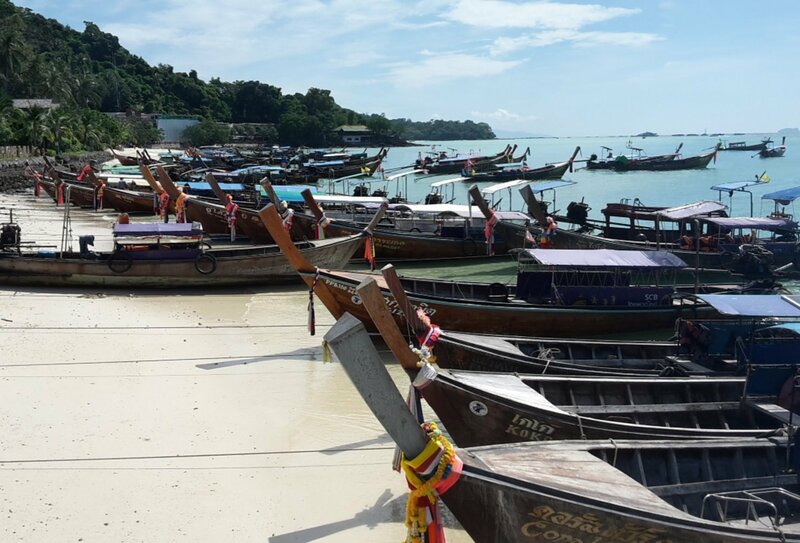 Take a combination of boats and buses across to Koh Samui and check into your island accommodation. 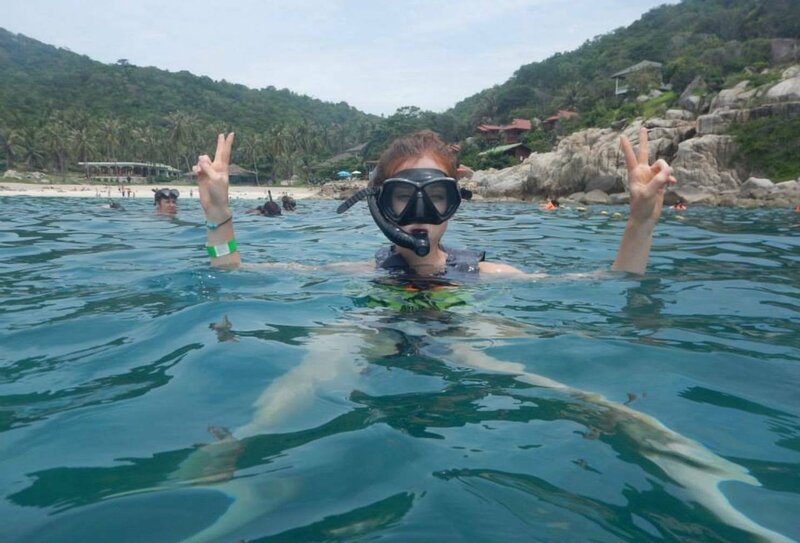 Day 16: Angthong National Marine Park. Head over to beautiful Angthong for a day of kayaking and swimming around green islands, white beaches and turquoise waters. Tonight, enjoy a night out at iconic Ark Bar. Please note: The visit to Angthong Marine Park is weather dependent; if the day trip is unable to go ahead an alternative activity will be arranged. Day 17: Koh Samui Beach Day. A free day to laze on the beach, recover from the night before(! ), and reflect on the adventure so far. Day 18: Transfer to Koh Phangan. It’s time to swap Koh Samui for Koh Phangan. Transfer by boat and prepare for 3 glorious days ahead. Day 19: Koh Phangan. Today is all about Southeast Asia’s most famous party island. Spend the day getting party ready: put on your party clothes, slap on the fluorescent paint and stretch off for a long night of dancing ahead! Day 20: Koh Phangan Chill and Temple Steam. Enjoy a long lie in and then relax at a blissful Temple Steam. You’ll head to a tranquil temple and sit in the herb-infused steam of the temple sauna. This’ll relax your body, open your pores and allow the oil, toxins and alcohol out! A truly blissful experience. Day 21-24: Koh Tao. Four days of beach break paradise on the gorgeous shores of Thailand's pint-sized island, Koh Tao. Embark on an unforgettable snorkelling boat trip around the island on day 22. Day 25: Tour Ends. 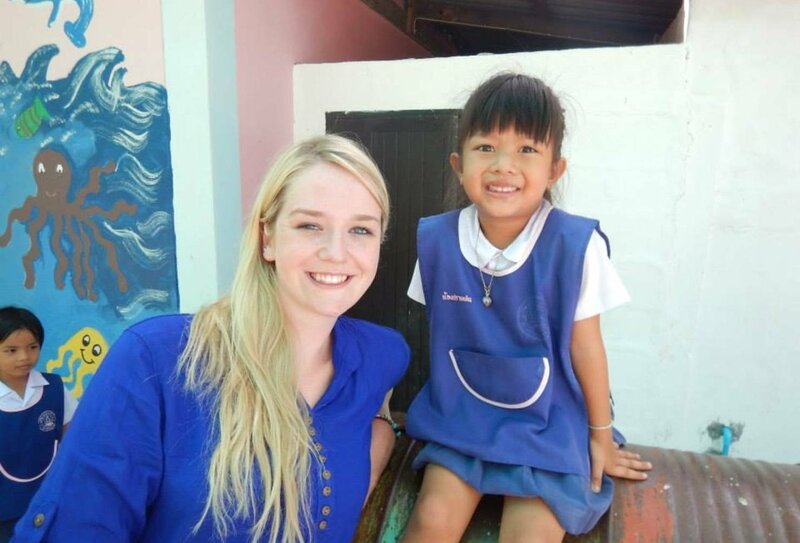 It’s time to say goodbye to this incredible Thai Adventure. Check out at 11am. Return airport transfers are not included but are easy to arrange. Speak to us for transfer advice. Day 1: Arrive in Denpasar, Bali. Arriving into Denpasar Airport you’ll be picked up and taken to your gorgeous guesthouse in Kuta to meet the rest of your group. Day 2: Beaches, Temples & Sunsets. Start today with a short drive to a stunning temple, set on a cliff edge in Uluwatu. Your next stop is the famous Padang Padang beach. Enjoy a sunset dinner before heading back to Kuta for some serious nightlife! Day 3: Learn to Surf. Make tracks for the laid-back surfing spot of Canggu, famous for its volcanic sands. Learn how to surf in one of the world’s most exciting surfing destinations – awesome! Day 4: Temples, Waterfalls & Rice Paddies. Stop off at two of Bali’s most amazing ancient temples before hand feeding wild monkeys. Stop to swim at an incredible waterfall, before arriving in the spectacular mountain surroundings of Lovina. Day 5: Dolphins & Culture. Hop on board a traditional outrigger boat for some dolphin-spotting adventures. Visit a local homestay for some Balinese basket weaving and lunch with your hosts. Day 6: Travel to the Gorgeous Gili Islands. A fast ferry takes you to the idyllic island of Gili Trawangan, a real slice of paradise. Enjoy some free time and then head out to make the most of the amazing island nightlife. Day 7: Gili Island Bike Tour. Take a biking tour of this gem of an island, snapping photos of the breathtaking views and taking breaks to laze on white sand beaches. 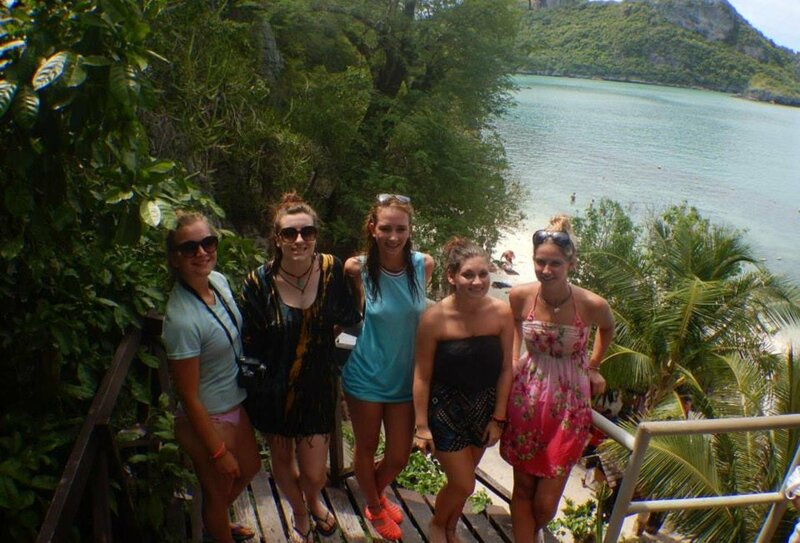 Day 8: Snorkelling Boat Trip, Group Dinner & Party Night. Take a boat tour around all three gorgeous Gili Islands today. Tuck in to a delicious group dinner and then make the most of your last evening on the island and party in paradise! Day 9: Travel on to Ubud. Jump on a ferry bound for Ubud. Day 10: Monkey Forest. Visit Ubud’s most famous attraction, Monkey Forest, an incredible temple which is home to hundreds of mischievous wild monkeys. Enjoy Ubud and get out and about this evening with your newfound friends. Day 11: Sunrise Volcano Trek & Massage. Head out early for an unforgettable sunrise Volcano trek, including a breakfast cooked using the natural heat from the Volcano. Hike back to Ubud, arriving mid morning and easing your muscles with an inclusive massage. The rest of the day is free. Day 12: Trip Ends. Your amazing Asian adventure ends today in Ubud and it’s time to say goodbye to your new friends and head home. Your guide can help you arrange your travel back to Denpasar Airport (cost not included). Please note: All itineraries are for guidance only and are subject to change. Please note: Although we try to run as many dates back to back, there may be independent travel time between the two trips. During this time accommodation is not included however we can advise you on arranging this. We try to run as many of our start dates back-to-back, so your Bali Intro can begin as soon as your Thai Adventure ends. On occasional start dates there may be days inbetween where you will have to arrange your own accommodation. Please contact a travel advisor for further details. You will need to arrange your flights to arrive in to Bangkok, Thailand on day one of the Thai Adventure. Our friendly team will be waiting for you with a 'Gap 360' sign. They will take you to your hotel where you will be introduced to the rest of your group. Please note that airport transfers are only available between 6am and 10pm. if you arrive outside of these times, you will need to take a taxi to your hotel. This is really easy to arrange. Please note that the Thai Adventure ends on Koh Koh Tao and you will need to arrange travel to Denpasar Airport in Bali. The cost of this flight is not included in the trip price. Depending on the start dates there may be some time between the Thailand and Bali parts of your trip. If this is the case most travellers will travel to Bali and spend their independent time there. You can arrive in advance of the Bali Intro start date and still take up the inclusive transfer if you book extra night's accommodation through us. If you wish to arrive before the start date then please let us know this in advance. On arrival in Bali an airport transfer is included and you will be picked up and taken to your accommodation in Kuta. Your trip will finish in the town of Ubud and a return airport transfer is not included, but your guide can help arrange this for you. A transfer by minivan to Denpasar Airport takes around 1.5 hours. We recommend you do not book an onward flight out of Bali until around 1 p.m. at the earliest on the final day. Please note: We try to run as many of our start dates back-to-back, so your Bali Intro can begin as soon as your Thai Adventure ends. On occasional start dates there may be days inbetween where you will need to arrange your own accommodation. Please contact us for details. 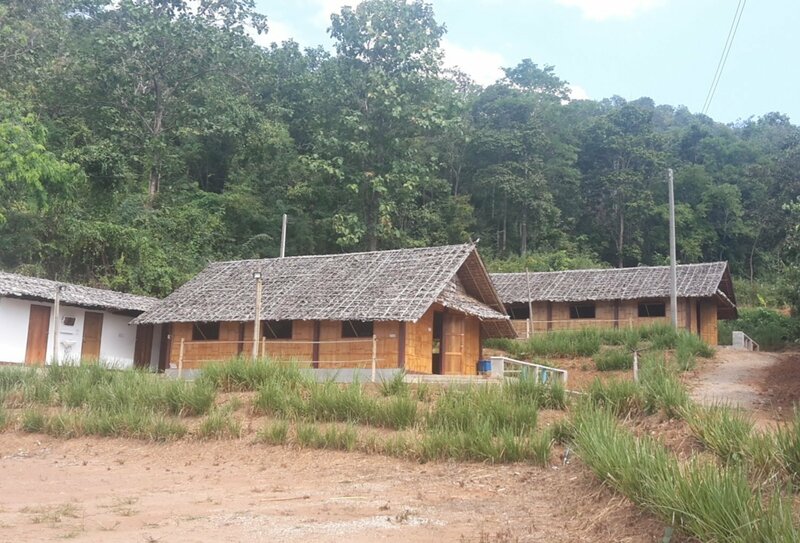 24 nights’ accommodation is included on the Thai Adventure. For the majority of the trip your accommodation will be in twin or triple shared guesthouse rooms. The rooms offer typical backpacker-style accommodation so you can try out a taste of authentic Thailand - it's all part of the gap travel experience! 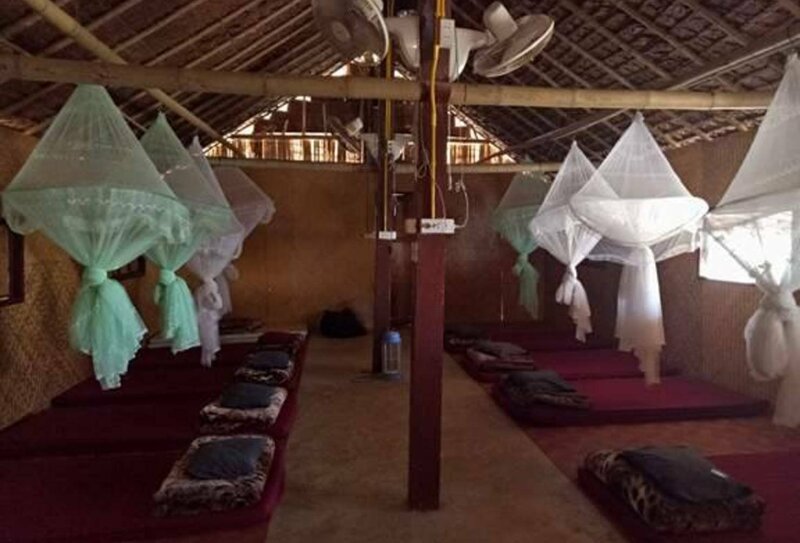 Thailand is beautifully hot and often humid all year round, meaning the lack of hot water in some Thai accommodation is no problem, as a cool shower will be just what's called for after a long day lazing on the beach or taking a hot hike in the Thai hills. If you are travelling with friends or are in a couple, we can make sure you are in the same accommodation; just let us know at time of booking. Meals are not included, except lunch at the Elephant Home and meals on the hill trek. This means you will need to bring a little extra money to cover your food costs. You can expect to pay about £3-5 for an average meal. Please note: We try to run as many of our start dates back-to-back, so your Bali Intro can begin as soon as your Thai Adventure ends. On occasional start dates you may be required to book an extra 2 nights’ accommodation in Kuta, Bali before the Bali Intro begins. Even if you arrive early you will still have an inclusive transfer and will be met at the airport and taken to your accommodation in Kuta. Any extra accommodation is at your own cost, but we can help you book this in advance of travel (approx cost £18 per night, payable locally). Please speak to a travel advisor for further details. 11 nights’ accommodation is included. The accommodation is of a great standard, with incredible swimming pools, private bathrooms, air conditioning and hot water. 2 nights are spent in a gorgeous guesthouse with pool in Kuta, 1 night is spent in a hotel in Canggu, 2 nights are spent in a hostel with spectacular mountain views and a pool in Lovina, 3 nights are spent in a hotel on the idyllic island of Gili Trawangan and 3 nights are spent in a hotel in the town of Ubud. 2 of the nights will be in multi-share, mixed dorm accommodation, with rooms sleeping 4-7 people. The rest of the nights will be twin or double share. Free Wi-Fi is available in every location, and laundry services are available on all nights except 4 & 5. 8 breakfasts, 1 lunch and 2 dinners are included on this tour. Other meals on the trip are at your own cost. Dietary requirements can be catered for but please inform us of these at the time of booking. We recommend you bring around £200 spending money to cover extra costs during your 12 days in Bali. This trip is available to travellers aged 18-35. Without a visa, British nationals arriving by air can remain in the country for a maximum of 30 days. If you wish to extend your trip for more than 30 days then you will need to apply for a visa before you depart the UK. If you are not planning on working this will be a 60 day tourist visa. British visitors arriving in Bali (or anywhere in Indonesia) will be issued with a free visa on arrival, valid for a stay of up to 30 days. You must have a passport with at least 6 months validity from your arrival date. If you wish to stay in Indonesia for longer than 30 days, you will no longer be able to extend your visa in-country, so you will need to apply for a 60 day tourist/social visa in advance of travel. Please contact us for further details. Please contact us for further information regarding visas. Anyone planning on doing the south east Asia adventure on the 30th June?